One last languid cruise before the summer fades into fall. 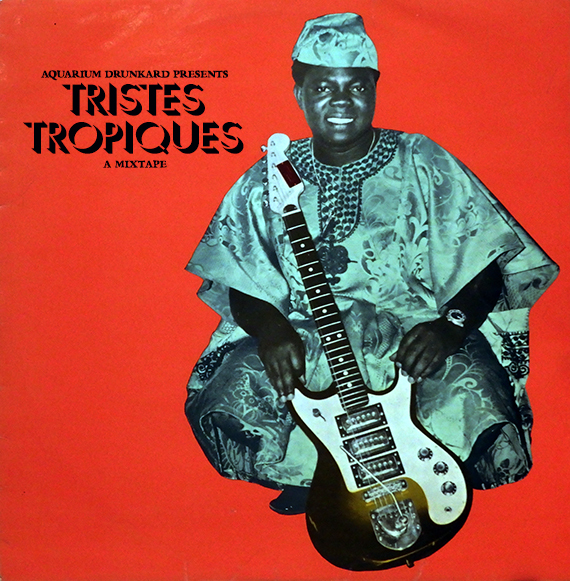 A varied collection of teardrops from the Congo to Brazil, Tristes Tropiques presents the hauntingly beautiful sound of sadness from the global south. Poor a cup of palm wine and enjoy. Our fourth entry in a series of ongoing collaborations with Copenhagen based DJ/record collector Peer Schouten. JosÃ© Larralde and Atahualpa. Â¡SÃ­ seÃ±ores! Great to hear them on a AQ mix. I second the Bonga comment. And the Jupiter Bokondji two later is a treat. Thanks. Could someone put this on Mixcloud? Please? I think there’s a song missing on the tracklist. In between Ni Wewe and Quimey Neuquen. starts just before 1:05. would love to know. Thanks to this great mixtape I discovered Atahualpa Yupanqui, thank you!